Artisan. Craft distilling. Call it what you want, when you make things in small batches you’re inherently creating something unique. And that’s precisely what Balcones are doing. 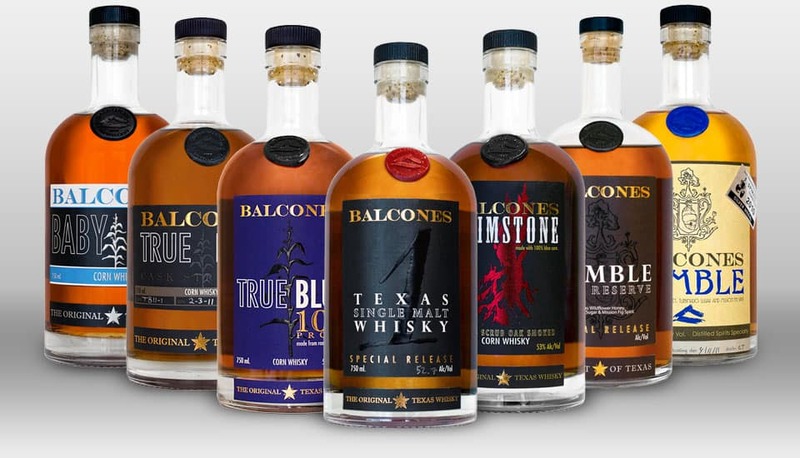 Founded in 2008, in Waco, Texas, Balcones has already achieved great things by doing things uniquely. Whisky Magazine gave them a shiny Craft Distillery ‘Icons of Whisky’ award, and some of their whiskies have already been rated incredibly highly in Jim Murray’s Whisky Bible. Chip Tate, the man behind Balcones, is already getting a name for himself as an alchemist and cult status has been unlocked. For those wanting to know more about the distillery, aside from visiting their website, there’s a great feature in the San Antonio Current about the distillery and how they’ve performed exceedingly well in a recent London-based blind tasting. 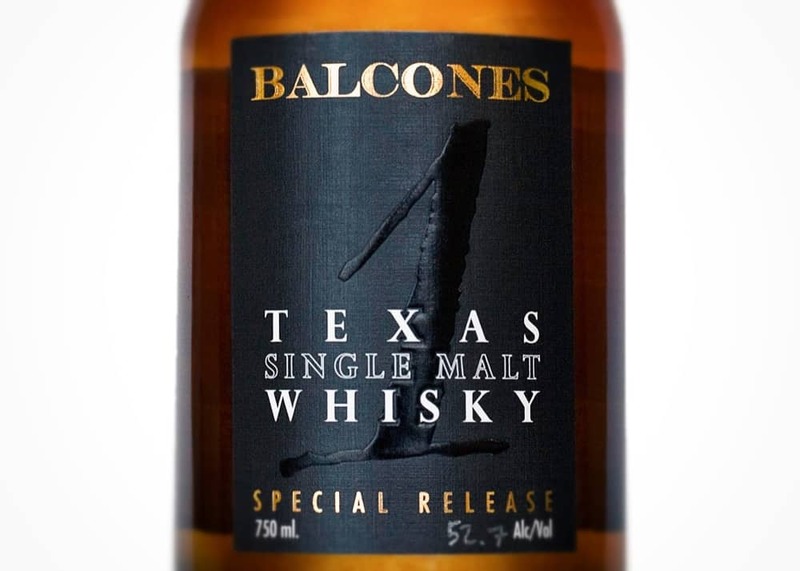 Glen and I had previously sampled some of Balcones whisky at The Whisky Show late last year, and we were seriously impressed. The only reason I didn’t come away with a bottle was because the Whisky Exchange had already sold out of stock. However, we were recently lucky enough to acquire – through completely legal means! – a few samples of Balcones’ wares, which means we’ll be having a fortnight of Balcones discussion on Malt. Hopefully we can get to grips with some fascinating offerings from the distillery and spread the word about some fascinating whiskies – no bad thing for the whisky aficionado, I think you’ll agree. Balcones Brimstone. Textas Scrub Oak Smoked. 53% ABV. Batch BRM12-3, bottled 17/4/2012. Now, as much as I like to talk about how a whisky is made where possible, the method behind Brimstone is meant to be a bit of a secret. It’s no surprise, too, because the results are one of the most unique whiskies I’ve ever come across. What’s it about? Well, whereas normal smokey single malt whisky gets its flavour from the malted barley being smoke-dried with peat, the smoke for Brimstone comes from a process that uses Texas Scrub Oak. But wait, they don’t smoke the grains, which in this case is blue corn. Oh no, they smoke the damn whisky itself. Having seen up-close how peat is used to dry grain across a large area, the mind boggles at how they smoke the actual liquid. It’s a pretty innovative technique, hence the totally unique flavour. But this isn’t just a gimmick: it really works. Colour: A very rich rosewood. Leans towards a deeper redness depending on the light. On the nose: one of the most interesting aromas I’ve ever come across. If I said smokey, you’d have a few ideas of what that might be like in a whisky, but this is completely different. Campfire. Barbecued meats that have been smoked for 24-hours beforehand. So deep, so subtle, so entwined with the liquid. Cigars – no, the smell of cigars on someone else. Whereas peat smoke is sweet, this is different. More like sniffing a wood-burning stove. In the mouth: I do like a good follow-through from nose to gob, and this is exactly what happens. Except for it’s led by a wonderful, rich sweetness. A plummy, jam-tart kind. Summer fruits. The smoke is there in the taste, again like smoke on someone’s clothing – it’s part of the structure, not merely a flavour. A touch of bitter tonic water. Lemons. Raisins. Pepper. Oak spice. A medium weight, it zips around the mouth, coating it with a combination of all of the above in such a striking manner – yet it all comes together incredibly well. To be honest, words don’t quite do this justice because it’s like nothing else you’ve ever tasted – in a good way. It’s an utterly remarkable drink. 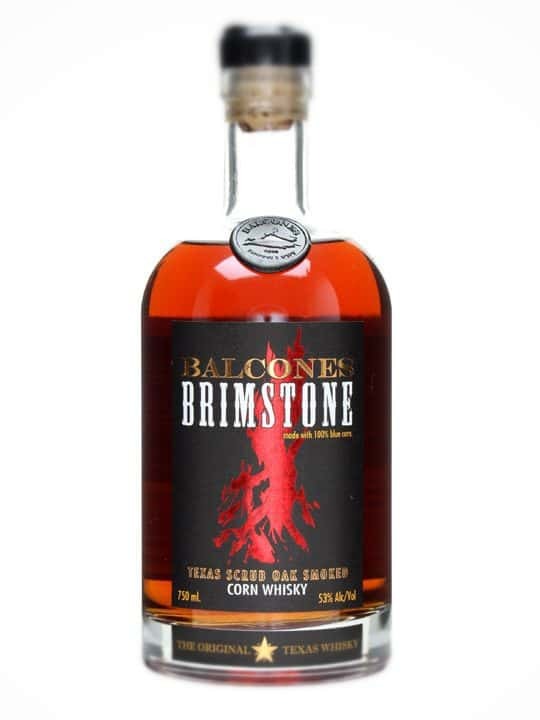 Smokeheads will really need to adjust their settings for Balcones Brimstone. A bottle of this will cost around £65, and it’s worth every penny.